The Eurogroup gave on Tuesday the “green light” to the list of reforms presented by the Greek government with an official statement after the teleconference on Greece that lasted an hour. 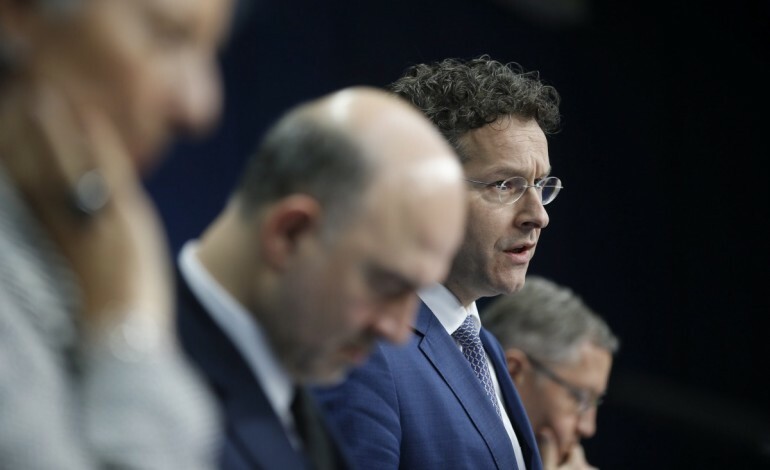 The statement underlined that the Eurogroup discussed the first list of reform measures presented by the Greek authorities, based on the current arrangement, which will be further specified and then agreed with the institutions at the latest by the end of April. “The institutions provided us with their first view that they consider this list of measures to be sufficiently comprehensive to be a valid starting point for a successful conclusion of the review. We, therefore, agreed to proceed with the national procedures with a view to reaching the final decision on the extension by up to four months of the current Master Financial Assistance Facility Agreement,” the Eurogroup noted. “We call on the Greek authorities to further develop and broaden the list of reform measures, based on the current arrangement, in close coordination with the institutions in order to allow for a speedy and successful conclusion of the review,” the eurozone also underlined. Prior to the teleconference, the chairs of the three institutions (formerly known as Troika) have sent their responses to the Eurogroup’s President, characterizing Varoufakis’ list of reforms as “sufficient starting point”. The EU Commission believes that the reform list presented by the Greek government is sufficiently comprehensive to be a valid starting point for a successful conclusion of the review as called for by the Eurogroup at its last meeting. This was underlined in a letter by Vice-President Valdis Dombrovskis and Commissioner Pierre Moscovici addressed to Eurogroup President Jeroen Dijsselbloem on the Greek government’s reform proposals ahead of the Eurozone teleconference. According to the letter, the Commission services have carefully reviewed the Greek government’s reform proposals, adding that constructive exchanges had preceded over the weekend between the Greek authorities and representatives of the European Commission and the other institutions. In the letter it is underlined that the Commission also noted the commitments in the area of statistics and considers it of vital importance that the institutional and operational independence of ELSTAT and its senior management be respected at all times. Further specification of the reforms in these and other key areas is expected to be provided and agreed before the end of April, in line with last week’s Eurogroup statement, the letter said, adding that the Commission looks forward to working with the new administration to elaborate what are at the moment still general commitments and transform these into clear policy actions. The head of the European Central Bank (ECB) said in a letter addressed to Eurogroup President Jeroen Dijsselbloem on Tuesday that Greece’s proposed reforms offered a valid starting point for the successful conclusion of a review of its programme. “Our initial impression is that the document covers a wide range of reform areas and in this sense, it is sufficiently comprehensive to be a valid starting point for a successful conclusion of the review,” Mario Draghi said, adding however that some previous commitments are missing from the list. The wording used in Draghi’s letter mirror those used in the European Commission’s letter. Draghi also appeared in his letter to be pressuring Greece “to stabilise the payment culture and refrain from any unilateral action to the contrary,” which probably refers to the repayment of the country’s loan. The statement made no mention of any immediate change to this liquidity lifeline for Greece’s banks. Although broadly supportive of Athens’ policy proposals in his letter, Draghi clearly showed that he wanted Greece to stick to its earlier commitments. The list of measures presented by the Greek authorities “is sufficiently comprehensive to be a valid starting point for a successful conclusion of the review, as called for by the Europroup at its last meeting. But a determination in this regard should of course rest primarily on an assessment by member states themselves and by the relevant European institutions,” Christine Lagarde, the IMF Managing Director, said in a letter sent to Eurogroup President Jeroen Dijsselbloem. Specifically, she said, “We note in particular that there are neither clear commitments to design and implement the envisaged comprehensive pension and VAT policy reforms, nor unequivocal undertakings to continue already – agreed policies for opening up closed sectors, for administrative reforms, for privatisation, and for labor market reforms. As you know, we consider such commitments and undertakings to be critical for Greece’s ability to meet the basic objectives of its Fund-supported programme, which is why these are the areas subject to most of the structural benchmarks agreed with the Fund. Thus, it is important for me to emphasize that for the discussions on a completion of the review to be successful they cannot be confined within the policy perimeters outlined in the government’s list”. “My staff and I look forward to working with the new government on finding common ground, with the aim of concluding the 6th review of the Fund-supported program as soon as possible,” Lagarde said in the letter. Following the approval of Greece’s reform package by Eurogroup’s finance ministers on Tuesday, discussions are now starting on how to cover the country’s funding gap until the end of April, and in a second phase until the end of July, sources of the Greek finance ministry said. According to the sources, it is yet unknown how Greece will cover its funding needs or how the institutions will be able carry out the programme review, considering the government does not want to adopt the process followed by the troika (visits to Athens). Concerning the country’s liquidity needs, the Greek government will reiterate its proposal to raise the limit of T-bills issued by the state. 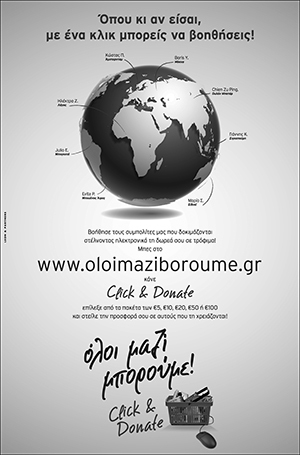 It will also ask the European Central Bank to give directly to IMF the profits the central bank makes from the Greek bonds it withholds, worth 1.9 billion euros, to pay the March installment. “[In the next four months] We will need a recital of effectiveness to combat tax evasion and corruption in the public sector,” the source said.